Spencer Foo - Finally, my first chance to watch him play a game live. Josh Healey - See above. Also, similar to above -- from Edmonton, NCAA signing. Rasmus Andersson - A chance to show why he's the No. 1 ranked D prospect. Mark Jankowski - Strong rookie camp can set him up to win a job in main camp. Tyler Parsons - Highly-touted, top-ranked prospect is pushing to turn pro. But of the other 21 players that make up Calgary's roster for the Young Stars Classic, who else should Flames fans be keeping an eye on? 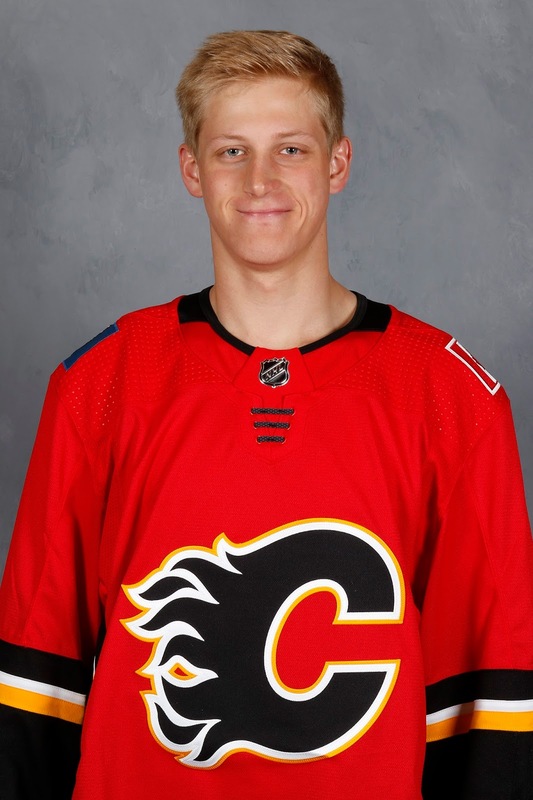 The newest kid on the block, Juuso Valimaki was Calgary's first round pick this year and is someone that has the team giddy with excitement. Solidly put together at 6-foot-2 and 215 pounds, and coming off a Olli Juolevi-like season from the back end with 61 points (19 goals, 42 assists) in 60 games with Tri-City (WHL), he's a year or two away from being a Saddledome regular, but we've already seen glimpses of why the Flames are so high on him and were delighted to have him fall to them at pick No. 16. Valimaki has been on the ice throughout the summer, playing in two separate tournaments for his country. Most notably, he was at the World Junior Summer Showcase in Plymouth, Michigan. It was at that tournament when it was announced that yet again, Valimaki would wear the captain's 'C' for Finland at the 2018 World Junior Championship. From U16 to U18 to U20, this guy has captained Finland at international events so often, he probably popped out of the womb with a 'C' stitched on him. As one of Calgary's top prospects, how will he fare this weekend against some older, stronger and more experienced players than what he is used to. It's wise to temper expectations given he doesn't turn 19 for another month, yet I recall the impressive tournament Andersson had in his first visit to the South Okanagan Events Centre and he was a late second rounder. As a middle first rounder, that type of pedigree does come with some built-in hype. These games also tend to get frisky and the physical side of the game is not necessarily one of the first attributes that comes to mind with Valimaki. So that's another area of curiosity for me. How does he handle the rough stuff? Does he end up in the middle of it, or do things get uncomfortable for him at that point. One of the most fascinating seasons in major junior last year was authored by Medicine Hat's Zach Fischer. Passed over in the NHL draft his first two years of eligibility, it's no surprise he never had his name called as he rarely had his name called by an arena PA announcer either. 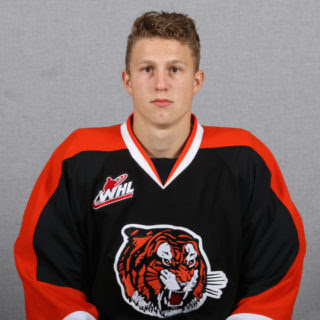 In his first two WHL seasons combined, he mustered just 23 points (12 goals, 11 assists) in 89 games. He was also a stranger to the penalty box with just 38 penalty minutes. Then last summer, he re-invented himself. If you need a visual, think David Banner turning into The Incredible Hulk and by that, I don't mean just getting bigger, which he did (although no, he didn't turn green). In addition to putting on a bunch of muscle last off-season, he also became a whole lot meaner. Further, he morphed into a far more impactful offensive presence also. When the regular season ended, Fischer had obliterated his combined totals from the first two seasons in every category. In 62 games, he racked up 34 goals, 63 points and a whopping 145 penalty minutes, which is exactly 130 more than last year. Now at this point, what you have is a player that a lot of organizations are going to take a flyer on in the summer. Invite him to development camp, check him out up-close and then go from there. But the Flames took that curiosity to another level by drafting him and not just with a throwaway pick in the seventh round, they used a fifth round pick on him. 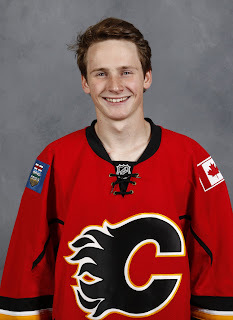 Already old enough to be assigned to the AHL this fall if the team decides to go that route, an influencing factor in what's next for the native of Lloydminster, Alberta, could very well be how he performs in rookie camp and then in main camp after that. For him, that impression needs to start Friday night against the Oilers and I have no doubt that whether he's denting the twine or an opponent's nose with a left cross, he'll be leaving an impression much like he delivered all of last season. By now, we've seen a lot of Adam Ollas Mattsson. The 21-year-old has been in the organization since the Flames made him a sixth round pick in 2014. But July hockey is exactly that, July hockey. At his once-a-year appearance in Calgary at development camp, you see him throw his body around a little bit in battle drills, you see glimpses of his physicality in scrimmages, but it's not a great environment to truly evaluate a player of his ilk. Yet that's all we've had for samplings. For the first time, Ollas Mattsson finds himself on this side of the Atlantic in September, rather than already in the throes of the season back home in Sweden. For the first time, he'll put on a Flames sweater and not be going up against other players in Flames sweaters. I'm anxious to see the big man play as he's always caught my eye because of his size -- a Nordic strong 6-foot-5 and 220 pounds. From him, a subtle little push in the back can send opposing players careening into the plexiglass. Skating is the organizational concern with Ollas Mattsson and is likely a major reason why he could only muster an AHL deal from the Flames rather than the standard NHL entry-level contract when he decided it was time to come over to North America.This weekend will be a first glimpse into how limiting is his foot speed. I reluctantly bumped him from my latest top prospect rankings because he didn't land an NHL deal. Yet that could be just a speed bump and not a 'road closed' sign. There are guys before him -- see Ryan Lomberg, Garnet Hathaway -- who have gone a similar route. Both signed an AHL-only deal to start, then got promoted to an NHL deal a year later after proving themselves. 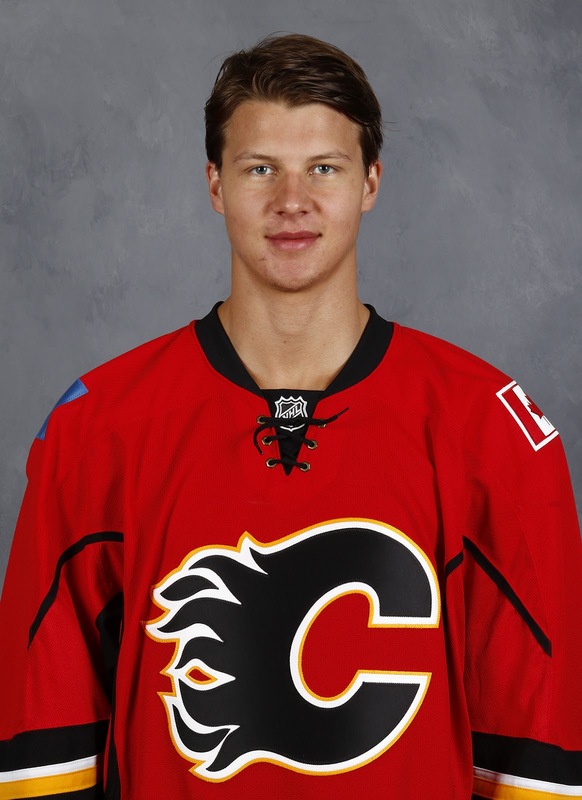 Calgary's got a nice collection of up-and-coming defenceman. Ollas Mattsson, who played nine games for Stockton at the end of last year after his Swedish season ended, is a distant afterthought when you talk about the likes of Adam Fox, Valimaki, Andersson and Oliver Kylington. But bringing a profoundly different stay-at-home style than the others, it's too early to rule out an NHL future quite yet. Watching him in games this weekend -- even if it's just prospects versus prospects -- is going to be fun. You can't help but be fascinated at the Calgary kid that scored 50 goals with Victoria (WHL) last year, then went down to Stockton for a sip of pro hockey and ended up taking a couple big gulps by appearing in a couple playoff games as well. If you can put up those kinds of offensive numbers, you'll always have a chance to play pro hockey somewhere and there's no denying Matthew Phillips can do that. Like a scene out of Return of the Jedi, Penticton is a great opportunity to see how well Calgary's Ewok can navigate the forest of California redwoods that are those keen-to-impress 6-foot-3 and 6-foot-4 defenders on the Jets, Oilers and Canucks. This guy isn't just small, he's little. He's listed as 5-foot-7 and 155 pounds, but that might be on skates and after he's gone through the late-night drive-thru. 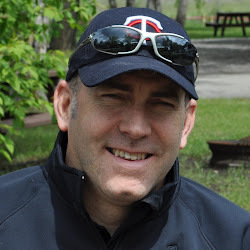 When you see him at the rink in Penticton, all he's missing from blending in with the youngsters in the crowd is an Okanagan Hockey School backpack. But where he gets straight A's in my viewings so far is his ability to hyperspace around the offensive zone. He's there, then he's gone. Where did he go? There he is again on the other side and there's a goal. He's slippery to defend and has a knack for finding open ice but that can only work if you're deployed with skilled teammates who can find you. Between him and Foo, you'd think they will be seeing a lot of top-six time this weekend. Maybe he gets a try with Jankowski or maybe it's Adam Ruzicka as his pivot. 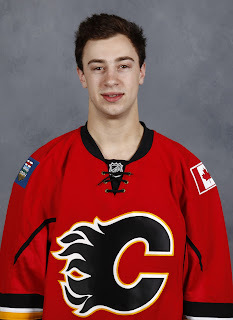 His buddy Dillon Dube, also a lock to be back in the WHL this season like Phillips due to their year of birth (1998), is another linemate option. So is Mangiapane, also a 166th pick. Seeing him take to the ice is like putting a loonie in an arcade car racing game. Sit back and enjoy the adrenaline rush. Back-to-back 100-point seasons in the OHL, then he scores 20 goals as a rookie in the AHL. Not bad for a sixth round pick, who at this point feels more like a second round pick. I mean all this guy does is create offence and that's going to get you an NHL regular season look eventually. After his roommate Rasmus Andersson got into his first NHL game last year, it could be Mangiapane who gets a seat on the charter at some point this year. Crafty, quick, great hands, he's smaller at 5-foot-10 but he's not frail. At 185 pounds, he's not afraid to get his nose dirty and that's important too. Watch for him to be buzzing around Penticton in his third and final visit to this event. 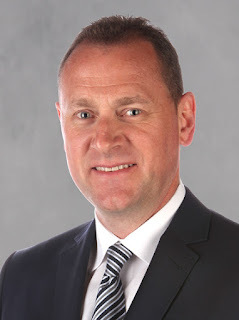 Should top-line minutes be in order if coach Ryan Huska tries him with Jankowski and Foo, what an opportunity to showcase himself and lobby for at least a couple preseason games with the big club, rather than just the token split-squad game against Edmonton. Beginning with Josh Jooris three years ago, it seems like every year in Penticton, there's one guy that comes from off the radar and has a great camp, carries it into main camp and lasts longer than anyone would have expected in their push to open the season in the NHL. Mangiapane is a familiar name so he's far from an unknown like Jooris was. But that being said, he's also not one of the favourites for one of the open roster spots up front, so in that regard, should he threaten for one of those jobs, that would be in the same spirit. He shouldn't be ready for the NHL yet, he's only been a pro for one year. He could always stand to get a little stronger. He needs to work on his consistency. But if he steps on the ice and is one of Calgary's best players this weekend, suddenly those worries start to fade and he graduates from being a player to watch at rookie camp to being a player to watch ar main camp. It would not surprise me to see a top line of Mangiapane/Janko(they played in the AHL together for much of last year) and Foo with a second line of Ruzica/Dube/Phillips. We should also not forget that AOM also had a cup of coffee with Heat at the end of last season and was by all accounts solid. The pairings on the back end could be interesting. Do they pair Rasmus and Valimaki or do the pair AOM with Andersson as they did at development camp. Darren have a great time at the tournie but please keep us informed as I always appreciate your articles. Nailed the top line. I wonder if we might not see Ruzicka bump up to that second line and Dube back on the wing as you suggested for game 2. Not sure Pollock's spot alongside Dube and Phillips was a weekend thing, more of an experiment. Game 2 tomorrow where I expect the top line and top D pairing to remain intact, but some tweaks in the middle two lines as a few new faces come in, etc.